Put the butter in a pot and heat it up until it is liquid. Mix all ingredients together in a big bowl with as much water as needed to get a dough that is neither too fluid nor too solid. 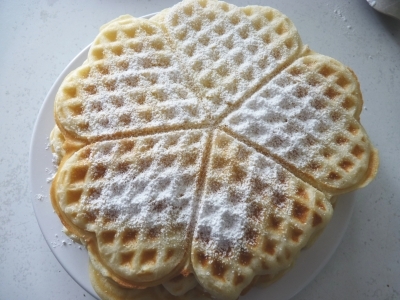 Then switch on the waffle maker and put around 2 tablespoons in the middle of the waffle area and wait 2-3 minutes or until the waffle maker either shows a green light or starts buzzing. To get waffles that are a bit more crisp you can pour a little bit of sunflower oil on the plate of the waffle maker before you add the dough. Be careful though not to use too much of the sunflower oil as it will otherwise overflow out of the waffle maker creating a big mess. 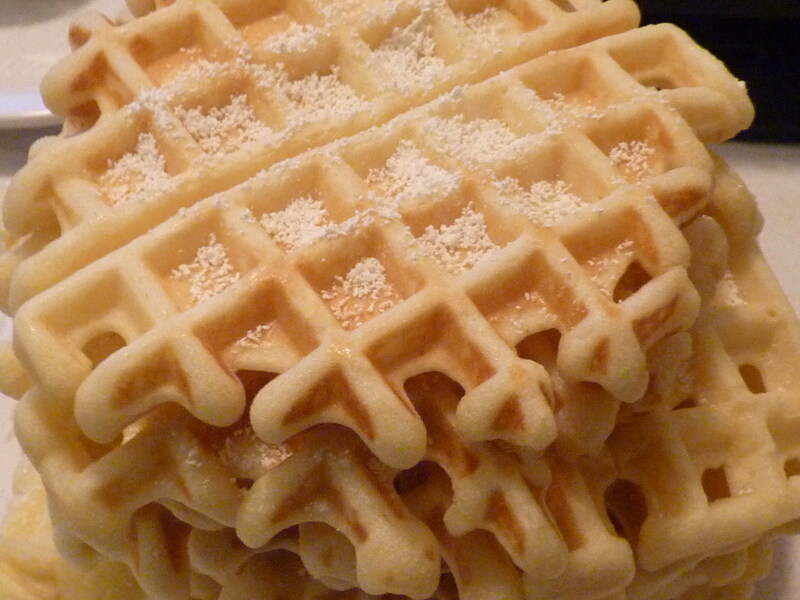 You can then serve the waffles with icing (powdered) sugar or with cream or jam or just eat them as they are.